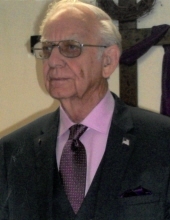 Robert Wayne Holbrook, son of the late Morris and Mable (Burkhart) Holbrook, was born January 21, 1939, in Milwaukee, Wisconsin, and passed away suddenly January 22, 2019, at his home near Mountain Grove, Missouri. He was 80 years and 1 day of age. Robert (Robbie) moved with his family to California at an early age. He loved to hunt and camp. He was a star long distance runner in high school, setting many records at the time. During high school, he met and later married his high school sweetheart, Ramona Brumley. They were married in 1959 in the Pollock Pines Community Church. Two boys were born to this union, Jeffery Wayne and Bruce Alan. Robert worked at many jobs early on until he joined the Laborers Union. Then he traveled the U.S., working many large jobs, including powerhouses, highway tunnels, nuclear cooling towers, and his last job, the Los Angeles subway. Robert retired in 1989 and lived in Placerville, California, near his mother and father and continued to help care for them until their deaths. After the death of his father in 2005, they moved to Mountain Grove, Missouri, to be near his wife’s parents, Raymond and Catherine Brumley. During his retirement, he became born again Christian and studied scripture, learning the word of God. He volunteered in the community, taught Sunday School, and preached at local churches when needed. He enjoyed wood working and made many treasures for family and friends. He liked watching golf and football and was an Oakland Raiders’ fan. After the death of his beloved wife, he remarried his long-time friend, Judy Gilmore, on October 10, 2018. They were extremely happy and had only a few blessed months together. Robert was admired by his family for his strong beliefs and his selflessness towards others. He put all others before himself and was always available to listen and provide advice. He never said no to those who asked for help. Besides he parents, Robert was preceded in death by his first wife, Ramona. He is survived by his wife, Judy Holbrook, two sons, Jeffery Holbrook and his wife, Lupe, and Bruce Holbrook and his wife, Linda, grandchildren, Richard Holbrook and his wife, Corrina, Kevin Holbrook and his wife, Heather, and Christopher Holbrook, great-grandchildren, Justin Holbrook, Ava Holbrook, Jaxson Holbrook, Aiden Holbrook, Cameron Holbrook, and Brenna Patrick, sisters, Diane Baxley and her husband, Bob Baxley, and Cheryl Pebley, and numerous nieces and nephews who loved being around him because he was so funny and always made them laugh. To send flowers or a remembrance gift to the family of Robert Holbrook, please visit our Tribute Store. "Email Address" would like to share the life celebration of Robert Holbrook. Click on the "link" to go to share a favorite memory or leave a condolence message for the family.